They say that exercise is the best medicine. Your doctor says you need more of it, that your condition and overall health will improve. An injury or condition might make you nervous to start exercising on your own. You could go too easy and not see any results, or go to hard and make your symptoms worse. But you don’t need to do it alone! 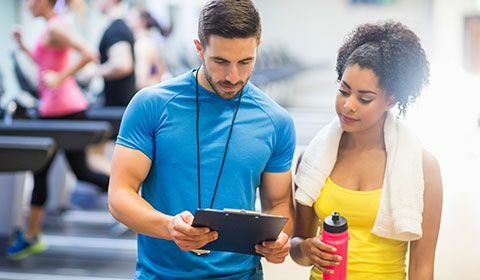 With an exercise prescription, you can get the guidance and coaching you need to start a safe, effective exercise program. Your path to better health starts here. Exercise prescription is a specific plan of fitness-related activities designed to help you move toward rehabilitation or other goals. It’s commonly used in physiotherapy to recover, manage and prevent injury or chronic conditions. While guidance and supervision is provided, exercise programs require you to take an active role in working toward your specific objectives. Who can give you an exercise prescription? Physiotherapists, kinesiologists and other clinicians can develop an exercise prescription for you. 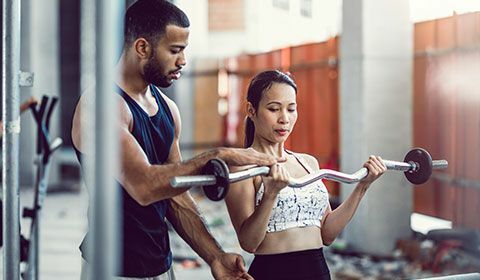 After a thorough assessment to test your current abilities, strength and weaknesses, your therapist will develop a custom exercise program for you. Using a progressive application of exercise, your program will help you gradually increases your tolerance to activity. 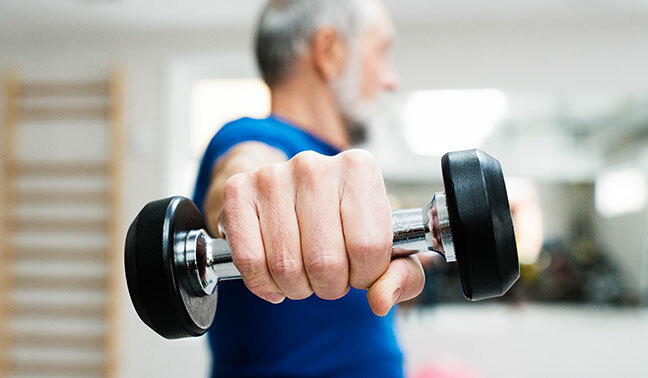 Your therapist will supervise your exercise during in-clinic sessions—providing instruction, guidance and corrections along the way—and provide a program for exercise at-home. 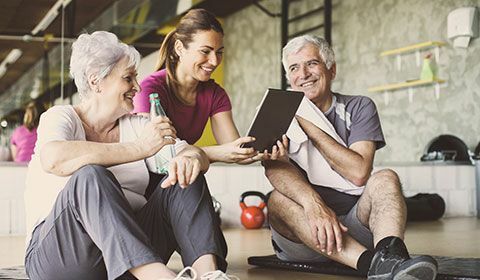 Your program may include stretching or flexibility routines, as well as exercises for nerve mobility, muscle strengthening, pain-relief, balance and proprioception (body awareness). The intensity of your exercise prescription will depend on your current situation and future goals. For those recovering from surgery, the exercise may be quite light. For those with a work or sports injury who wish to regain a certain level of performance, the exercise may start easy but build up to activities like repeated heavy lifting. Your exercise prescription may also include sport-specific training, resistance training and core stabilization exercises. Exercise can also decrease stress, inflammation and pain. When you get an exercise prescription, you have all of those benefits plus an environment that optimizes both the safety and effectiveness of your workouts. You can be confident about the time and energy you’re putting into your exercise program, knowing you’ve learned fitness routines that are right for you. Your therapist will keep you safe but also make sure you don’t plateau. Can exercise really help with pain? Exercise has been shown to boost the immune system, helping you heal faster from acute injuries. For chronic conditions, exercise can help improve your pain threshold and manage symptoms. 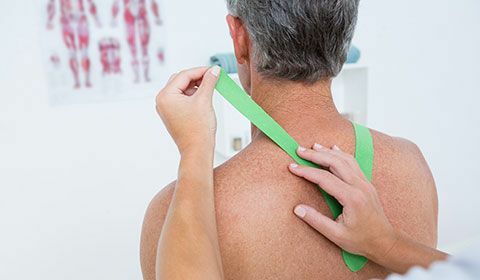 If you have a shoulder injury or have developed a shoulder condition—such as rotator cuff tears, dislocations or frozen shoulder—your physiotherapist may include the pendulum or Codman exercise in your prescribed program. This exercise copies the movement of a clock pendulum, using gravity and momentum for a passive range of motion in the joint, avoiding muscle contraction. There are different variations of this exercise that are conducted while standing, lying down and using weights. The exercise promotes healing without straining newly repaired tissue in the area. 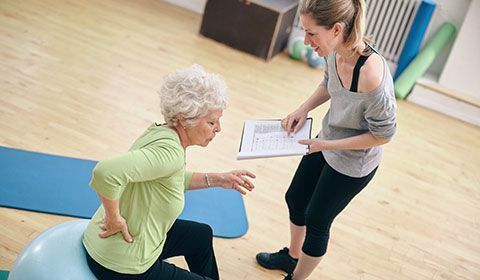 Your physiotherapist will teach you the movements, giving specific instructions on how long and how many times to repeat each variation. They will make sure you’re doing the exercise correctly, reducing your chances of re-injury. Once you get comfortable with the movements, your therapist can provide ways to make the exercise more challenging, so you keep moving your recovery forward. Get guidelines for shoulder rehab exercises, like the pendulum exercise. On your first visit, your physiotherapist will conduct a thorough, hands-on assessment of your current abilities, strengths and weaknesses. They will walk you through the exercises that will be part of your exercise prescription. You might get to try some out under careful supervision. At your next sessions, your exercise will be monitored and modified, if needed. Your therapist may also recommend other hands-on treatments to complement your exercise program. Throughout each of your sessions, your therapist will pay attention to the amount of resistance and repetitions in each exercise, making note of your challenges and progress, and adjusting routines accordingly. Stretching (often before and after) should always be a part of your exercise program. Can exercise really accelerate wound healing?